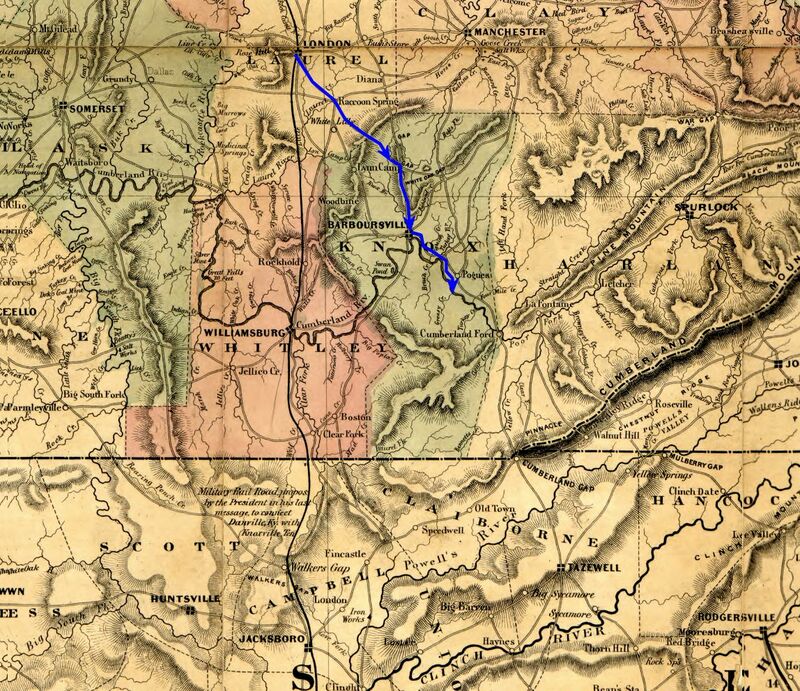 The regiment marched about eight miles, passing through Flat Lick, Kentucky, and making camp on a knoll of land along the Cumberland River, "...just below Pogue's". Already present were the other regiments in their brigade: the 1st & 2nd Tennessee and 49th Indiana, as well as the 7th Kentucky. Here the troops would establish Camp Cumberland where they would remain for 13 days. 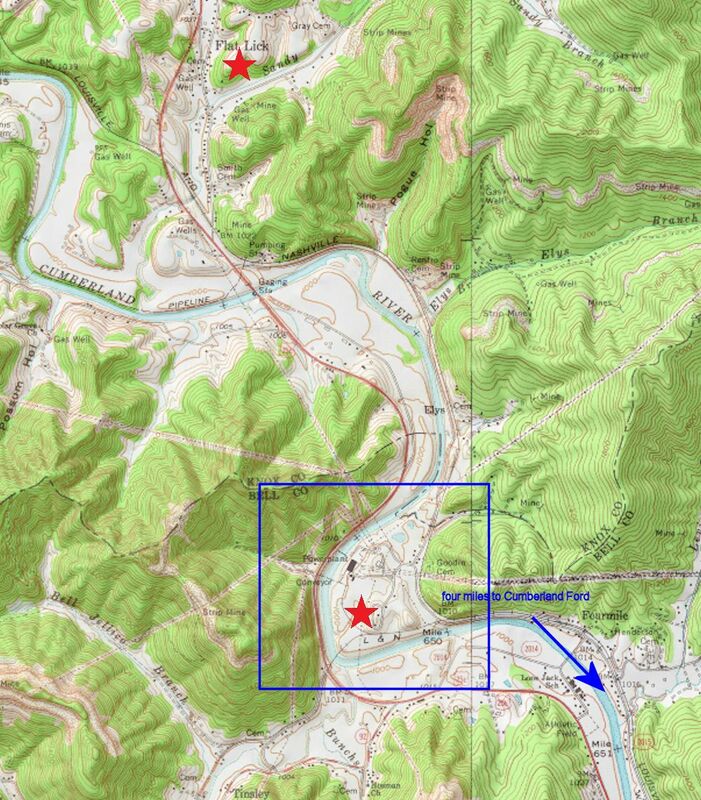 The exact location of Camp Cumberland has not been determined but is believed to have been on the north bank of the Cumberland River and from 3 1/2 to 4 miles up river from Cumberland Ford (now Pineville, Kentucky), just below a place called Pogue's , to which there may be some related reference on modern maps as Pogue's Hollow . The topographical map, below, shows some potential sites of the camp. The various references to mileages to and from this spot are inconsistent and add to the confusion on just where the camp was located. 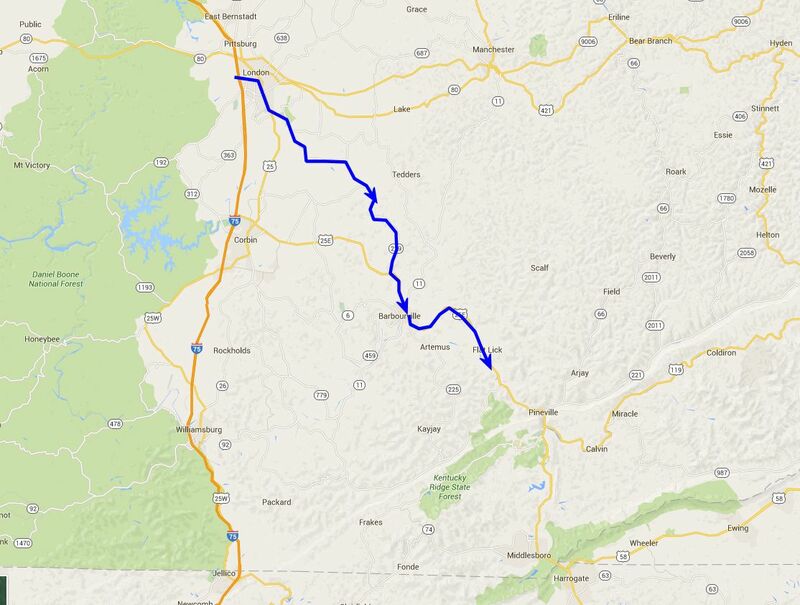 Period map showing the approximate route of the 16th Ohio on its march from a campsite near Barbourville to a point about four miles northwest of Cumberland Ford (Pineville), Kentucky.